Hi, I’m Josh, W0HC. I’ve been a licensed ham radio operator since 1991 and have been working in the communications industry for most of my life. 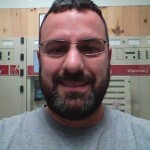 I’ve been employed as a broadcast engineer taking care of transmitter sites since 1998. This website will be a place for me to share a bit of information about myself, my hamshack, and any other information that may be interesting. I’m married to KC0AMY, who tolerates the ham radio stuff quite well. We have a boy, a girl, two dogs, and two cats. Who could ask for a more perfect family? My favorite bands are 10m and 20m. I’m not able to squeeze in very much time for ham radio at present, especially during the summer months when family obligations take over. I was previously involved as a volunteer with our local Emergency Management Agency. Together we have formed a nice partnership which allowed us to start a local ham radio club, build a 2m repeater, and outfit the Emergency Operations Center with a pretty nice setup. I also do a little computer repair on the side from time to time and am CompTIA A+ Certified. 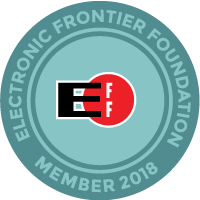 I am a member of the ARRL, Quarter Century Wireless Association, Buchanan County Amateur Radio Club, Society of Broadcast Engineers, Electronic Frontier Foundation, Internet Society, and the Buchanan County Wildlife Association. 73, and I hope to hear you on the bands!